The Apple iPhone 6 is already generating a lot of interest and many people are hoping to see something a bit different as far as the design is concerned. This new iPhone 6 idea has the X factor, in that rather than a new look it concentrates more on the proportions of the handset. 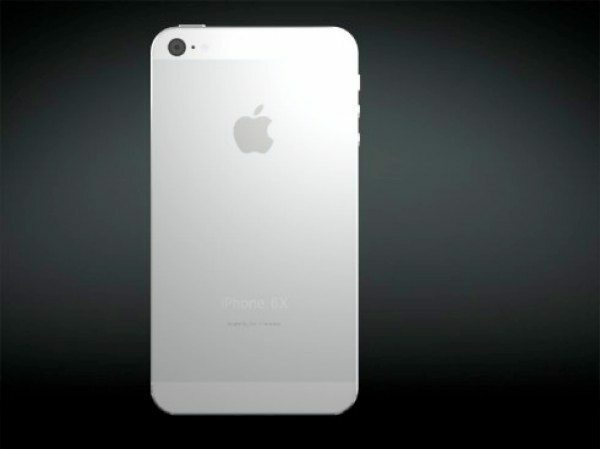 This is a concept iPhone 6 design of course, and not the first or the last we shall see in the coming months. We do like taking a look at concept ideas though as they can tease us with all sorts of possibilities for upcoming devices. This iPhone 6X concept render was designed by Caelan Cooper and has a display size of 4.8-inches, fitting nicely with the many rumors that the next premium iPhone will have a larger screen. The notion behind this concept was to mathematically explore a design where an extra row and column of apps could be fitted on the display. The form of the handset is still a unibody aluminum build but does appear wider, as you would expect given the intentions of the designer. Cooper used Inventor rendering to come up with this iPhone 6X and the Touch ID that appeared on the iPhone 5S still features here. The concept does feature rather wide display bezels though, moving in the opposite direction from the current trend, and we’d like to know what you think about this latest iPhone 6 concept. You may also be interested in two other recent iPhone 6 concepts here and here. Tell us what you think of this concept iPhone 6 design. Do you like the idea of being able to see extra app icons on the iPhone display? Send your comments to let us know.